Hi. 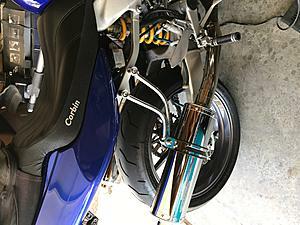 Here's a pic of the new LadyBird exhaust hangers. They were $160 + shipping ($20 to Cali). Please PM me for seller's contact info. I waited about 4 weeks for them to be made; it was less than a week shipping from Japan to U.S. via EMS/International Express USPS. They are very well constructed. I wish I could weld like that. Polished AL, and come with all mounting hardware; 15 minute install. They match the stock dimensions perfectly; feel a bit lighter than stock. Very nice. 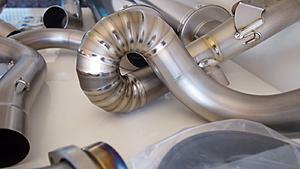 Yeah their full titanium exhausts for RC51s and TLRs are works of art. I'm thinking about LadyBird slip-ons for my VTR. You are right, Capt. Chaos. These, too are 'works of art'. Looking at them on the bike, it seems like I ought to polish the sub-frame, or something, to do them justice. LOL. Wow been away from bikes so long I'd forgotten what a true crafted system looks like. That is pipe ****. Steel. Polishing isn't an option then. Thanks for the heads-up. Saves me some wear-and-tear figuring it out (as I do most things...the hard way. LOL). Everything LadyBird makes, that I've seen at least, is 'art'. Meticulous construction, carefully thought-out, just...wonderful! Obviously you could use their mufflers, but never saw their mids for a Superhawk. Where did you see those? I know they make them for an RC51. 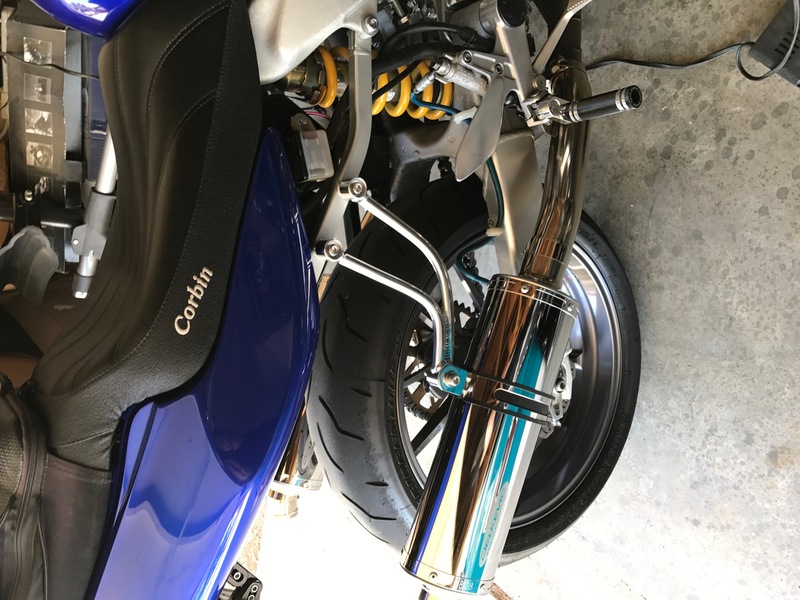 The right side mid from an RC51 will fit a Superhawk (IIRC might be slightly longer), but the left side is not a 90 bend like a Superhawk's and does not fit. Last edited by captainchaos; 09-27-2017 at 05:33 PM.